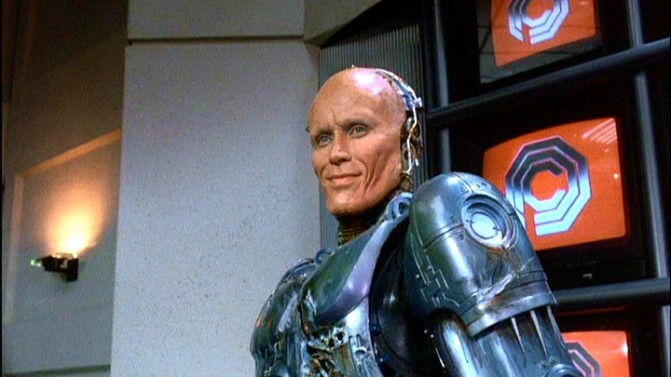 Peter Weller in RoboCop '87: I will call you "Murphy," and Murphy when you call me you can call me "Al." Today! Right now! Right here! The first installment of The Retouchables, an irregular but recurring feature I'll be writing for NPR Monkey See about reboots and remakes and re-remakes and, just maybe, bootmakers. IN THIS EPISODE: RoboCop! José Padilha's remake opened at number four with a bullet last weekend, so the time just felt right. This'll be all on RoboCop for a while, I promise. 'Fro and Con: Hairbrained, reviewed.